Pyrex 4.8-quart 10" x 15" oblong baking dish, $8.29 (Amazon Add-On item). 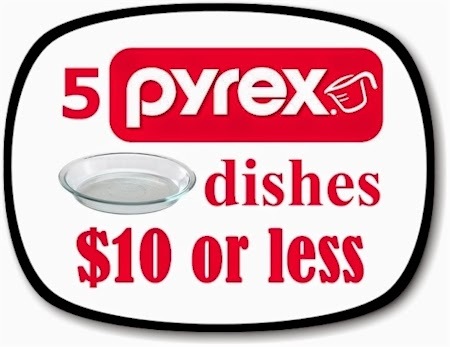 Pyrex 11-cup rectangular dish with lid, $7.99 (Amazon Add-On item). 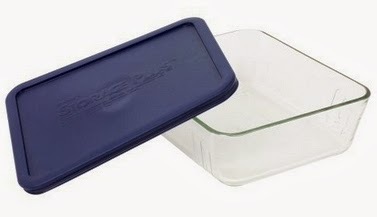 Pyrex 3-quart oblong Easy Grab baking dish, $7.88 (Amazon Add-On item). Pyrex 4.75 cup rectangular glass food storage with lid, $6.99 (Amazon Add-On item). 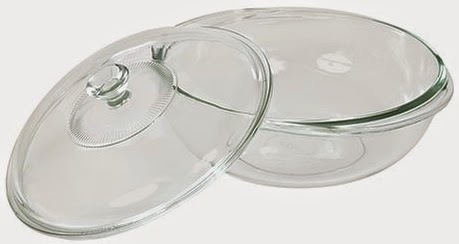 Pyrex 2-quart casserole dish with a lid, $9.49 (Amazon Add-On item).